Foundation Gurtom and Radiosailing.in.ua webshop have organized 26.03.16 a fun event in Skymall, Kiev. 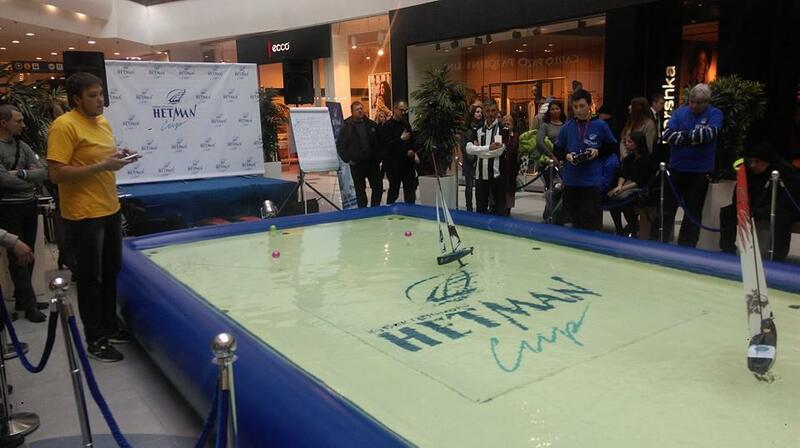 8 participants from Cherkassy, Odessa and Kiev competed in Dragon Force 65 class in small pool inside a shopping mall according to the rules of match races. 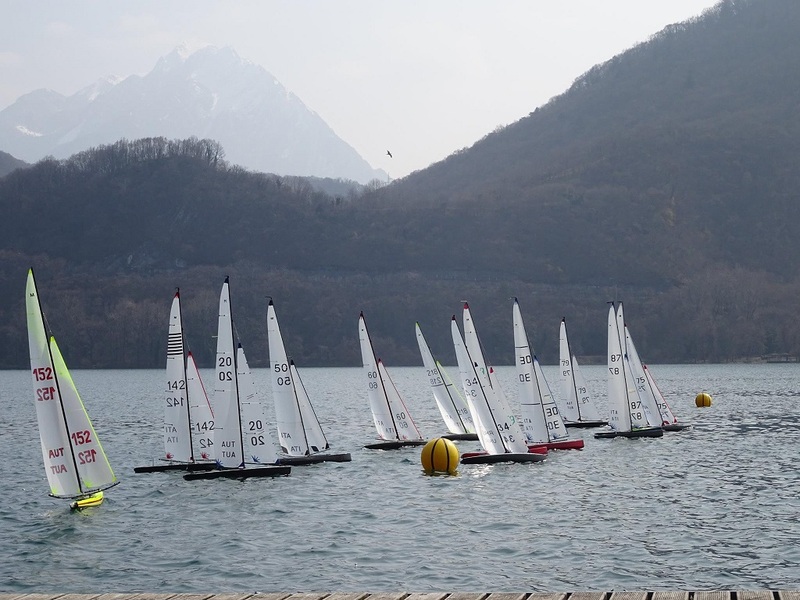 19-20 of March there was first Europa Cup 2016 F5-M class regatta in a beautiful lake of Cavazzo in Italy. 22 competitors from Italy, Austria and Ukraine took part. First day there was mainly light wind within A rig. 6 races were held in two heats. 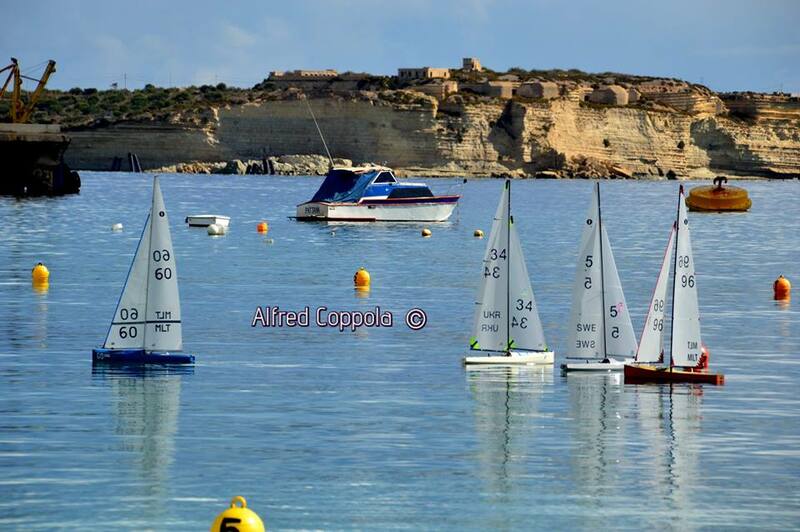 Second day 5 full races were held in different wind conditions from A to B rig. In each race the concurrence was very tight, but always - correct. Every small change of wind situation and every mistake changed the distribution of places in race significantly. Last gate often was a challenge and changed leaders. 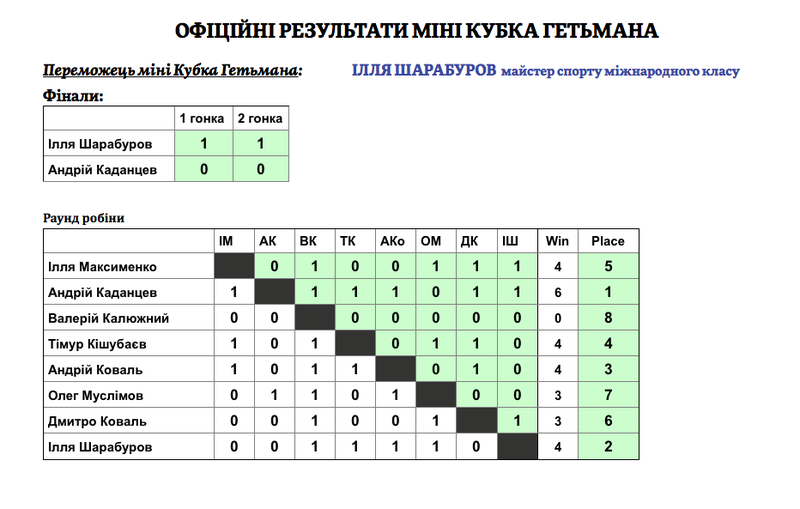 Timur Kishubaiev UKR 34 was near the leaders during almost all the races, but finally ended at 4th position that is also not bad result in a company of these experienced skippers. Zama Paolo ITA 75 with Quark have sailed quite strong, especially in first day. Second day he was less lucky and finished 5th. Manfred Wolfinger AUT 20 with his Starkers sailed well in a lot of races, but some pity accidents didn't let him to take better final place and he finished in 6 position. Another two italian skippers ITA 142 and ITA 60 with Skalpels were also during all competition among the leaders. 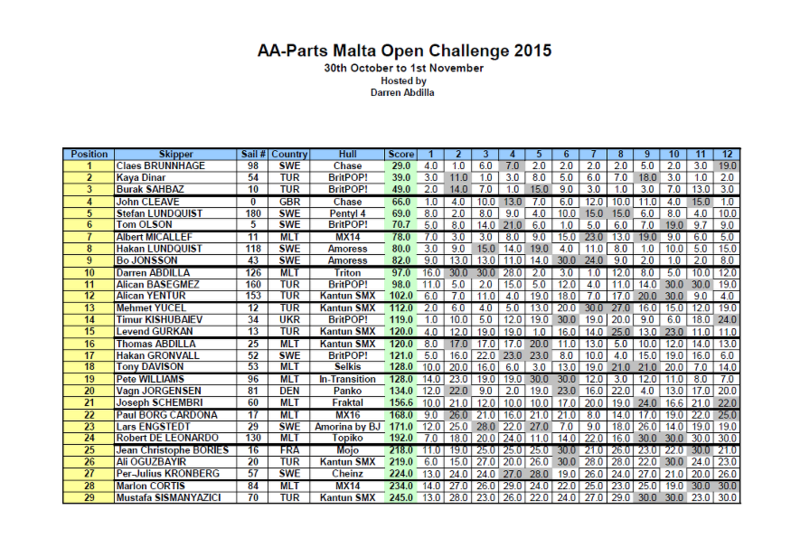 29.10.2015 - 01.11.2015 at the hospitable island of Malta there were held AA-Parts IOM Malta Open Challenge competitions. 29 competitors from Malta, Sweden, Turkey, France, Denmark and Ukraine took part.